A model developed by researchers at The University of Queensland could address soil problems that cost Australia's wheat producers almost $2 billion a year. Dr. Yash Dang, from UQ's School of Agriculture and Food Sciences, said the model measured the economic impact of soil problems and could help guide investment decisions on remediation and minimise productivity losses. "Soil sodicity (too much sodium in the soil), salinity, acidity and alkalinity and compaction significantly affect grain production in Australia," he said. "Each soil constraint has a different cause – with different treatment options – meaning that the management of each issue has different economic costs and opportunities." The project used data from sources, including yield data based on previous work by CSIRO, ABS and analysis of remote sensing imagery, soil data from the National Soil Site Collation and climate data from the Scientific Information for Land Owners database. 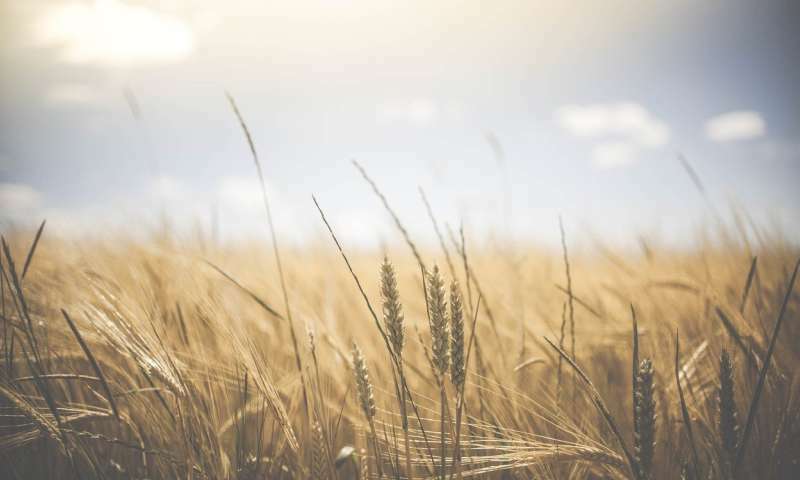 Dr. Thilak Mallawaarachchi, from UQ's School of Economics, said the team managed to isolate the real costs of some of the country's worst soil issues for wheat production. "The results underlined the large impact of soil sodicity, affecting 68 per cent of Australia's wheat-cropping land and costing farmers $1.15 billion annually," he said. "On top of that, we estimate that $380 million of our wheat crops are lost per year from soil acidity. "We know how to address these issues – through traditional treatments like the application of gypsum and lime respectively – so we can use this data to find the best way to make remediation investments." In a follow-up project, the team is looking to provide fine-scale information for landholders. "We're building a software tool that can collate and summarise the relevant remote-sensing and soil data in a form that would be useful for individual farmers," Dr. Dang said. "The software tool, along with a soil kit, will help them identify consistently high or low-yielding areas of paddocks, and diagnose potential soil constraints that might be causing any production losses in their paddocks. "We're hoping this work not only contributes towards ensuring greater profits for farmers, but also to better global food security." The research was published in Land Degradation and Development.